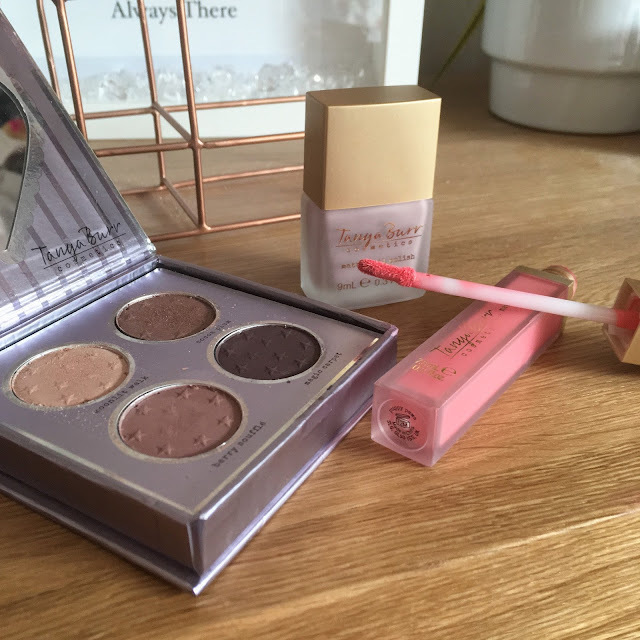 This post may be a bit late since her new collection was released a few weeks ago but it was my birthday and then I, unfortunately, I got an ear infection/sinusitis and was laid up on the sofa. However, I always get excited when bloggers/YouTubers release beauty products! I feel like I need to support them in the products they bring out, Tanya Burr being no different! 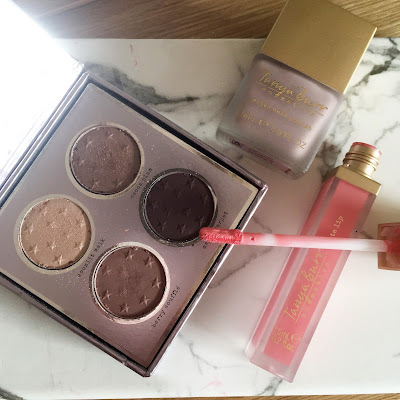 I picked up a few products of her new Soft Luxe Collection and I thought I would share what I got and how much I liked them. The first product I picked up, my favourite, was the Enchanted Dreams Eye Pallette. It has 4 gorgeous colours, 'Moonlit Walk' (shimmer), 'Cocoa Plus'(shimmer), 'Berry Souffle'(Matte) and 'Magic Carpet'(matte). I love the mixture of matte and shimmer shades and will be great for a smokey eye. Just like Tanya's palettes, the colours are very pigmented and blend very well. The palette is completely affordable and easy to get your hands on. Next up, is the Soft Luxe Lipgloss, this was the product I was most excited about. During, the ongoing hype of Kylie LipKits, I think it was great Tanya brought out a more affordable matte lipgloss. I bought the colour 'Puppy Paws' thinking it was going to be a cute pink. However, I will say it is very bright, too bright for my skin colour and I won't actually wear it. I am quite annoyed I picked up this colour as the formula is great, a thin layer goes a long way and the staying power is fab. I have heard great things about 'Martha Moo' so definitely check it out. Lastly, is her Matte Nail Polish in the shade 'Soft Pyjamas', Now I am not 100% sure on matte nails, I think it looks pretty, however, I have long nails and I find it chips easily. Nevertheless, I picked up this gorgeous grey/lilac colour. The colour is very neutral but I feel that it will go with everything. I haven't actually worn it as matte, as like I said I am just not sure. I did put a top coat over it but it dried quickly and the matte effect was lovely. The overall collection is perfect, the packaging is darling and think my favourite. The products themselves are fab and the prices are amazing. If you are in Superdrug or browsing on FeelUnique definitely pop them in your basket. 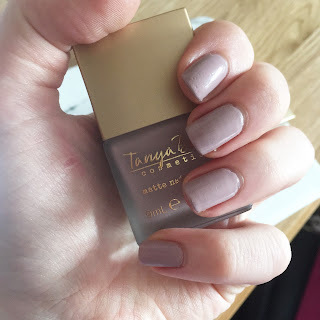 Make sure to check out my last Tanya Cosmetics review! Hope you are having a fab day, Let me what your favourite products are? I have the eye shadow palette and I love it! I wear it everyday and its my go to eye shadow. I have had one lipgloss of her's before and it smelt amazing so I must make sure I get some more!